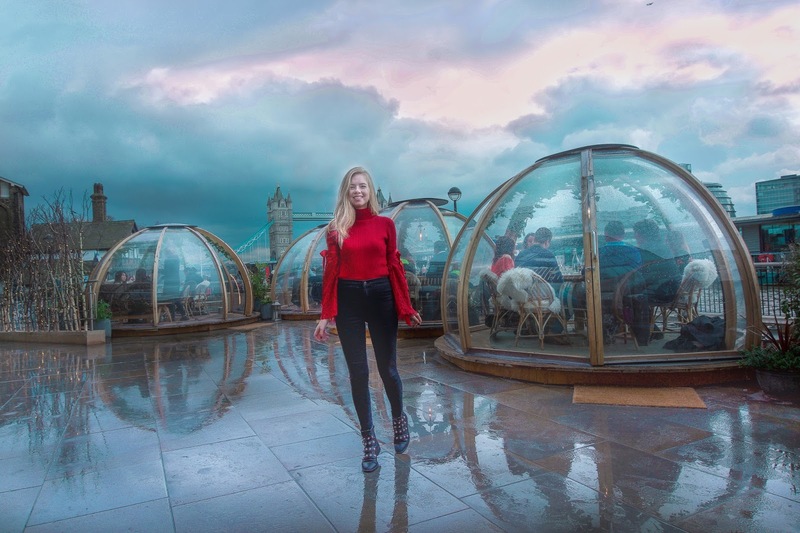 A few months ago I shared a post showing you 5 of my favorite places in London which make for the most Instagramable locations. Everyone seemed to love that post, which led to a similar format for Vienna. 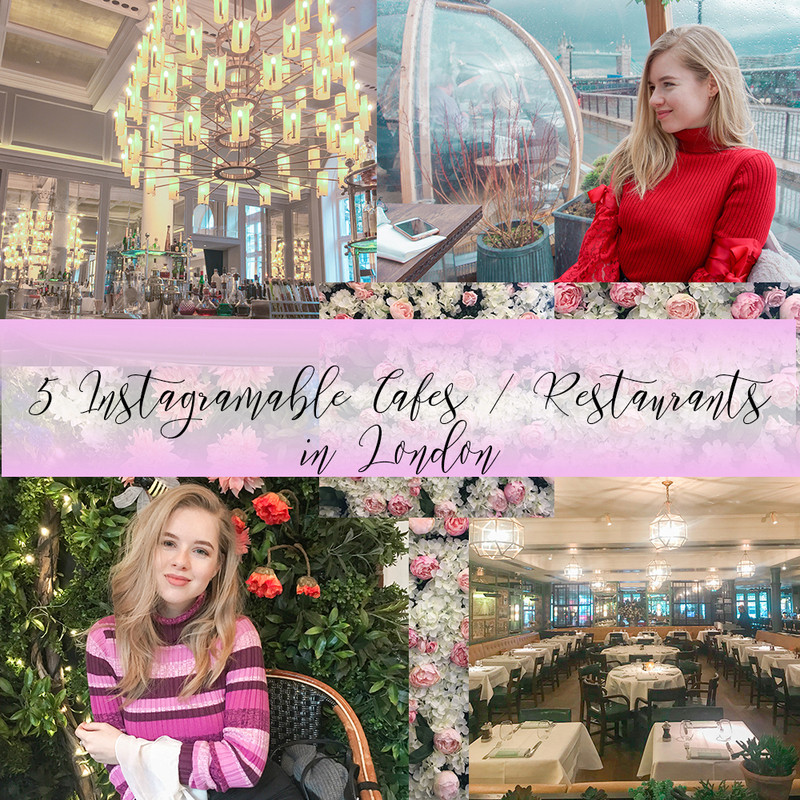 Following the success of those two I decided to create a new version, this time sharing with you some stunning Instagramable Cafes / Restaurants in London. What you need to know going into this is that they are all extremely girly and fabulous. Excited? Well let's start. If you love flowers and feminine decor then this first Cafe is going to win your heart as much as it has won mine. Saint Aymes is a dreamy Cafe that serves delicious cakes, artisan chocolates and Unicorn lattes. WINNER! The blush pink and petrol blue furniture mixed with the multiple, yes people MULTIPLE, flower walls create a boutique-esque atmosphere. More pictures here. The Ivy Chelsea Garder might be advertised as casual dinning, but don't let that fool you. The restaurant has a pleasant sophisticated and posh atmosphere. The food is appetizing and the interior decor will enchant you, almost as much as the flower entrance. Starting to see a pattern maybe? You are right! 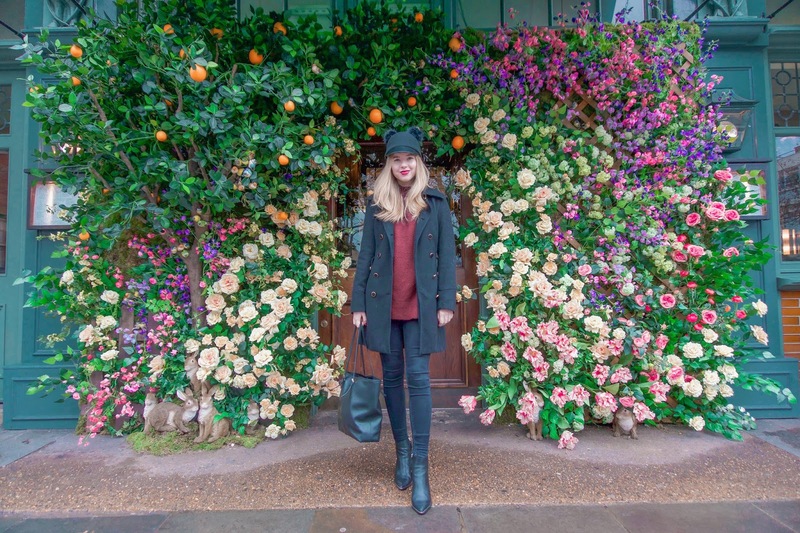 In comparison to the above mentioned Cafe, the Ivy changes it's flower entrance decor once every few months making you want to come back for more. Just to throw you off a bit, we have Coppa Club which surprisingly features no flower walls. However it has igloos, because why not?! They are cozy, warm and beyond adorable, not to mention they are overlooking the Tower Bridge. The ambiance is laid back and they serve flavorful food. Back to flower walls! The Dalloway Terrace is a fabulous restaurant, it's elegant and poetic in a romantic setting. The attention to details is incredible and the food is mouthwatering good. 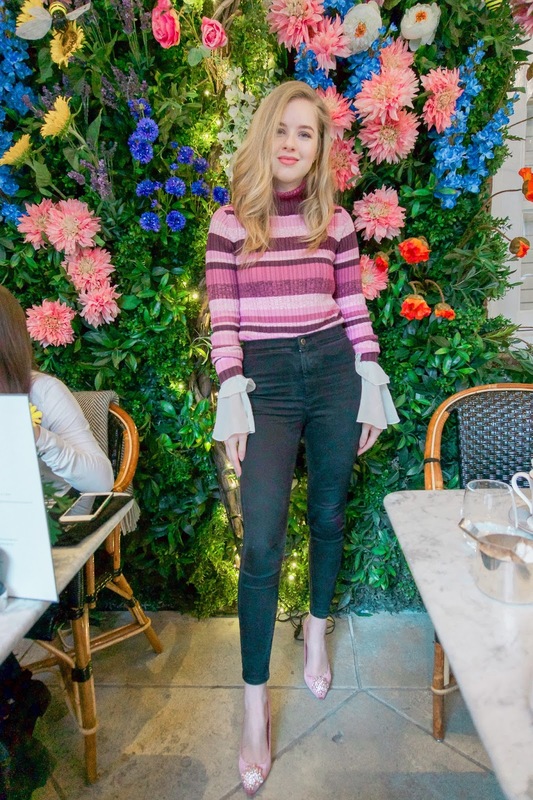 It's the perfect location to lift up your mood all year round thanks to the vibrant and colorful flower wall, which has fairy lights and cute bumble bees hidden all over. More pictures here. 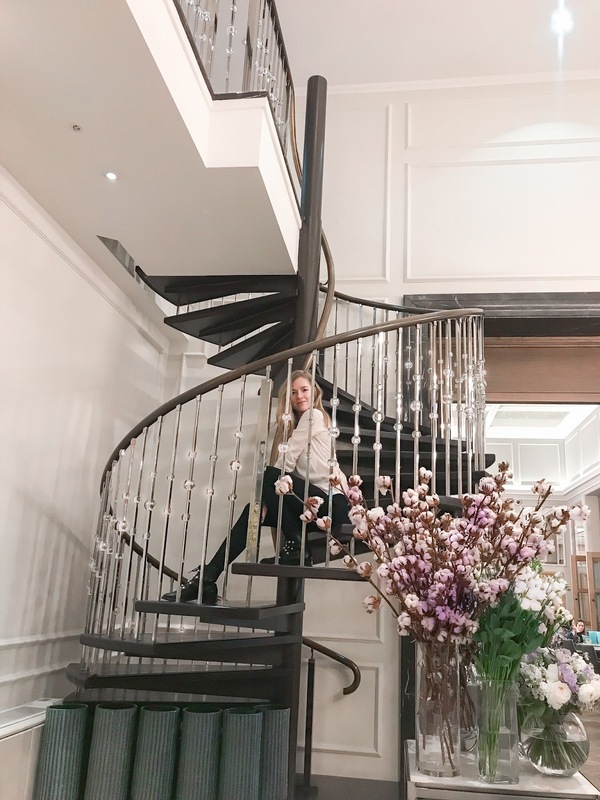 The last location for this post is the Corinthia Hotel, specifically the Northall Bar. The bar is luxurious and elegant, perfect for spoiling yourself. They are known to have one of the best afternoon teas in London, but beware, a reservation is needed. They might not have a flower wall but they do have a lot of flowers everywhere. Also, they have the best hot chocolate I have ever tried and they do have the option of preparing it with almond milk which is uncommon. Thank you for the amazing tips!! I definitely want to go to London this year and I will save that post and go explore them.. thank you!! omg so gorgeous!! Can't wait to visit London!